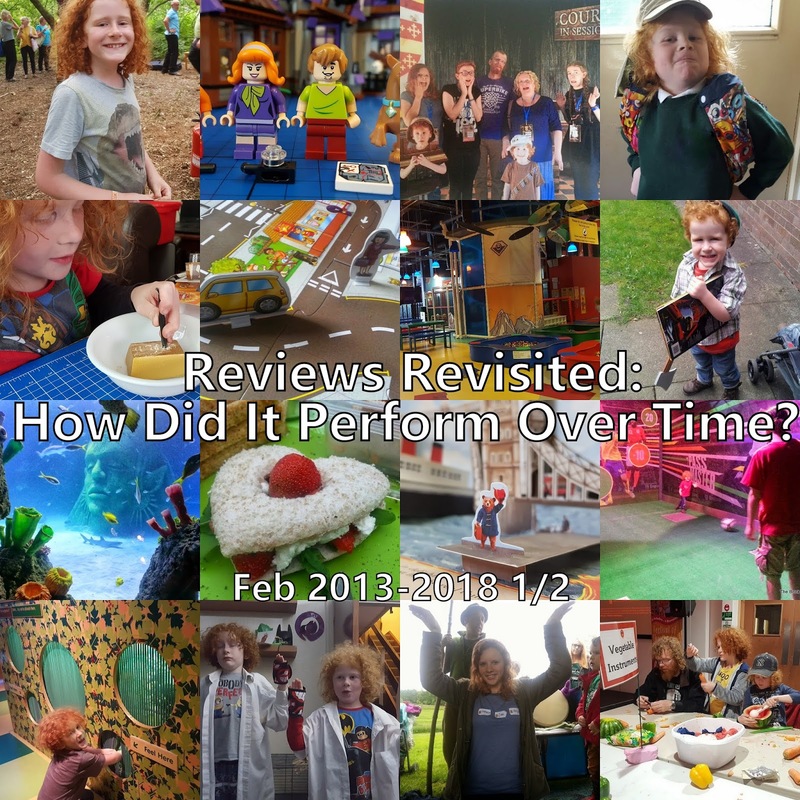 The Brick Castle: Reviews Revisited February 2013-2018 1/2 - Magic, bears, sausages and Batman.. 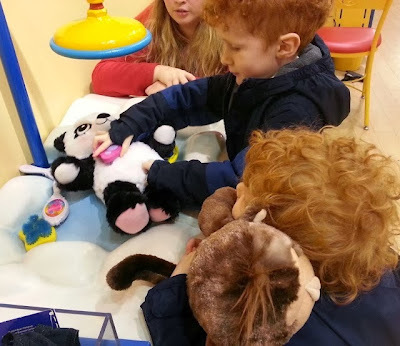 In 2014 we had our first experience of Build-A-Bear. The boys adored it and I totally realised why these bears are more expensive than buying something generic off a shelf. It was a real experience that they still remember fondly, plus we still have everything - even the shoes!! We also reviewed the Imperial War Museum North in Salford Quays for the first time in 2014. It's a fabulous museum and has a lot to offer children of all ages. 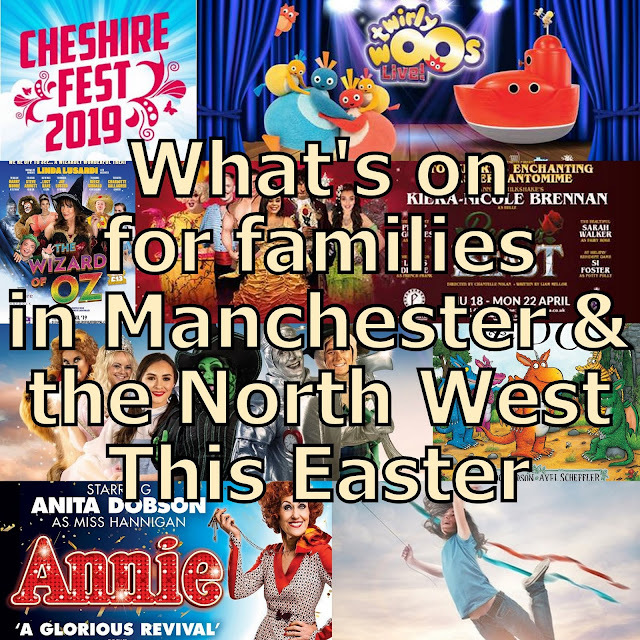 They often have special events, workshops and touch tables in the holidays and it's well worth a drive from slightly further away. 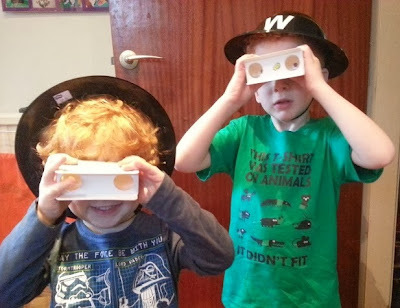 You'll never believe it, but we still have one of these sets of binoculars the boys made that day! 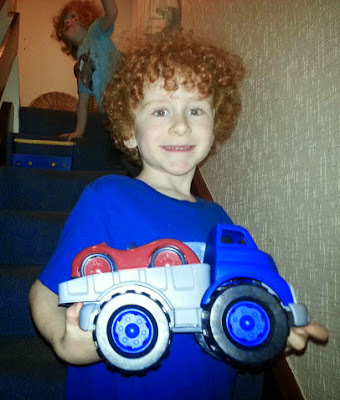 In 2015 we were also Green Toys Ambassadors and reviewed quite a lot of their vehicles and sets, including the recycled flat bed truck. 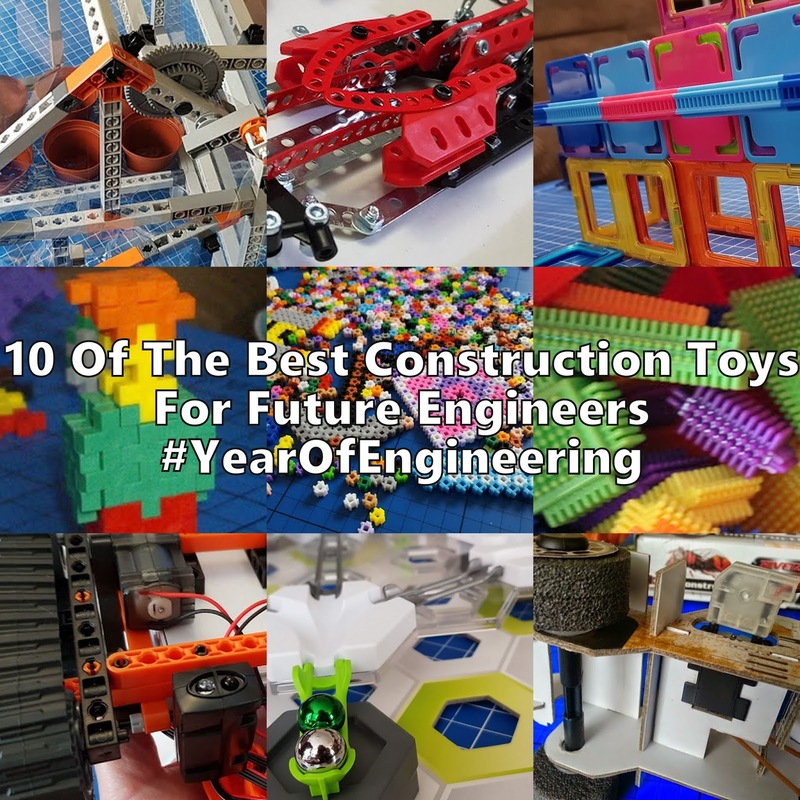 These are brilliant toys for younger children, which are made from recycled plastic milk cartons. The finish on these is tactile and almost warm, and they were a garden and bathtime favourite for several years. 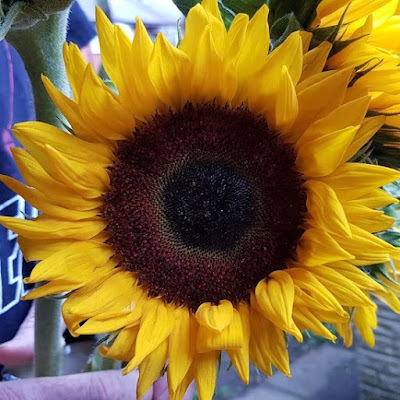 Still looking great, they've the longevity and strength you'd hope for too - and you can even wash them in the dishwasher! We've reviewed for Goodlife Vegetarian Foods a few times and love their sausages, but the new releases in Feb 2016 stick out for me because of the gorgeous kievs. Goodlife pack their foods full of flavour and they're incredibly satisfying whether you are veggie or not. 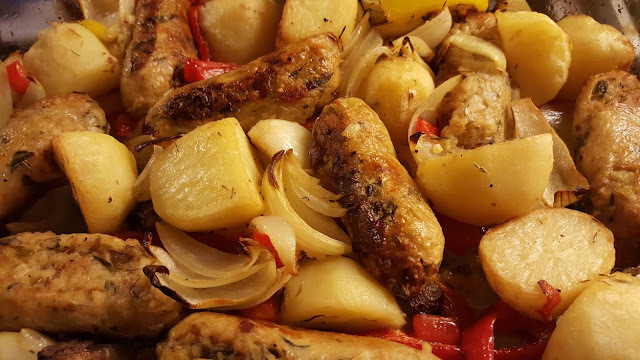 I used the sausage to make Mary Berry's sausage and potato supper recipe. Around £2 a box each for sausages, burgers, falafel and those amazing kievs. 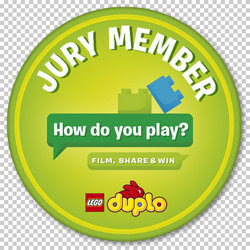 We adore a good movie and we really have enjoyed all of the LEGO movies. 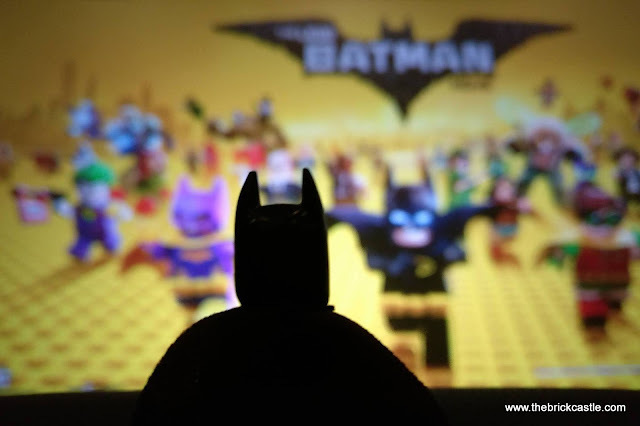 In February 2017 we took a train down to London to be guests of Warner Bros to watch The LEGO Batman Movie. We had a brilliant time, the whole day was really calm and stress-free and we loved the movie. As it happens we watched it yesterday too, so still a favourite. 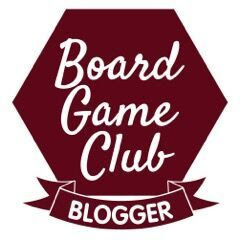 February last year saw us review one of our favourite ever Nerf blasters. 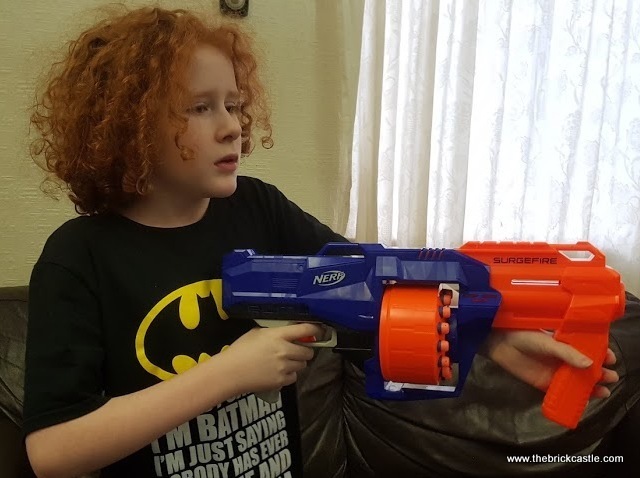 We are big fans of Nerf and since we started reviewing toys for Hasbro we've reviewed about 10 of their foam dart and car firing beauties. This one doesn't need batteries and is only around £20. It's strong and precise, has a 15 dart cartridge and rarely gets a jam. The Nerf N-Strike Elite SurgeFire - still available now. 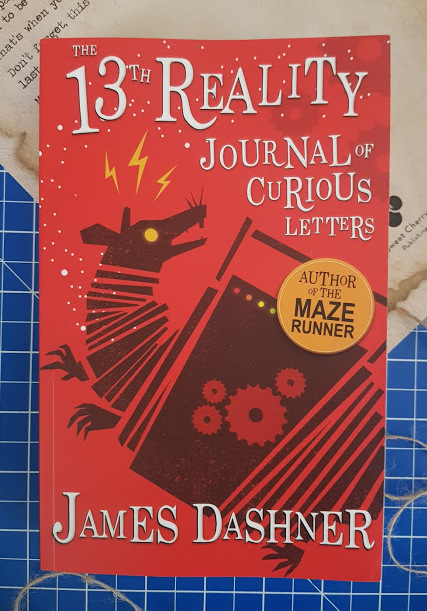 We reviewed a couple of great books in early 2018 too - the first is The 13th Reality: Journal Of Curious Letters by James Dashner (The Maze Runner). 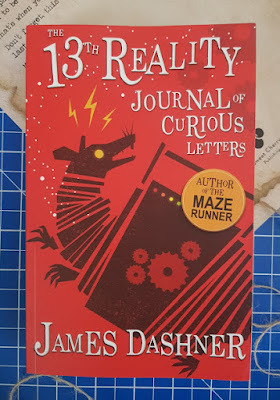 A really intriguing book which pulls you into it's world and encourages you to try and solve the puzzles faced by the heroes, great for confident readers around 9+. 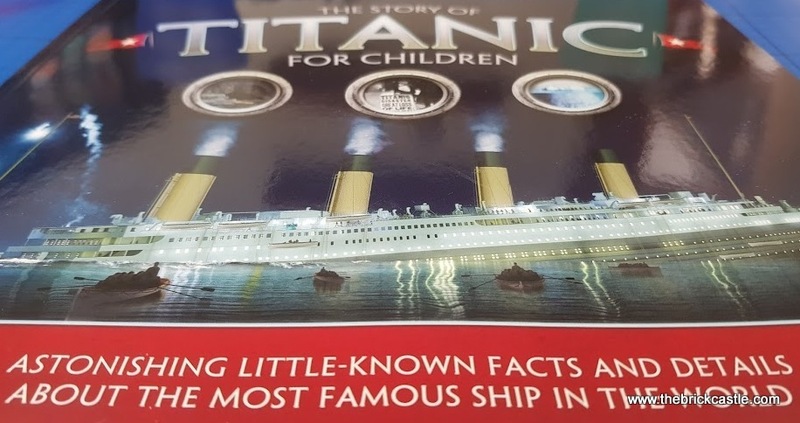 The other excellent book was a non-fiction book - The Story Of The Titanic For Children by Joe Fullman. 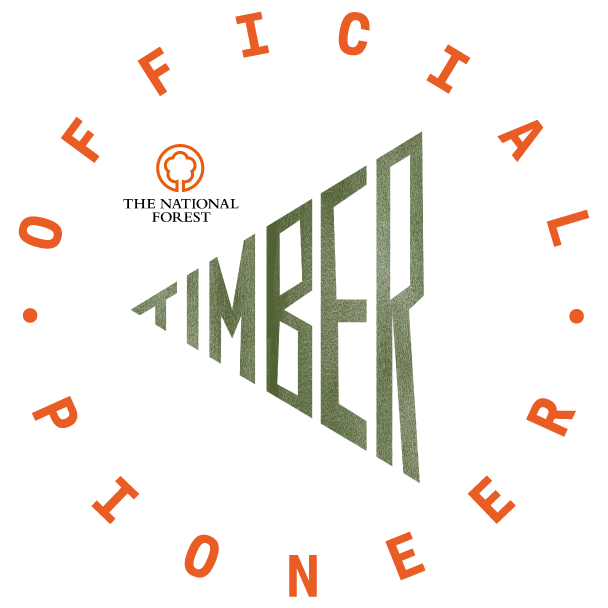 It tells the truth and is factually excellent, and is also sensitive and respectful of the people who lost their lives. This has been read regularly in our house by people of all ages and it's simply a brilliant book. Currently out of print but not discontinued, and also available on Kindle. 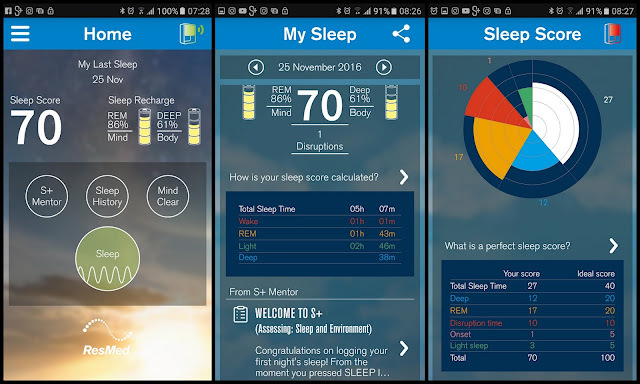 In 2017 I reviewed the S-Med Non-Contact Sleep Tracker. I used this non-stop for well over 18 months and researching this post has reminded me to set it up again in my new bedroom. I discovered without doubt that I get a better night's rest if I turn off my phone at least 20 minutes before I go to sleep, but watching TV doesn't have an effect. I also found out I rarely get any more than 5 hours quality sleep a night - and I can tell. All the data and stats are utterly fascinating. I implemented a couple of easy changes for better sleep and am still reaping the benefit. Sadly no longer available and the ResMed website doesn't appear to have any other sleep trackers. 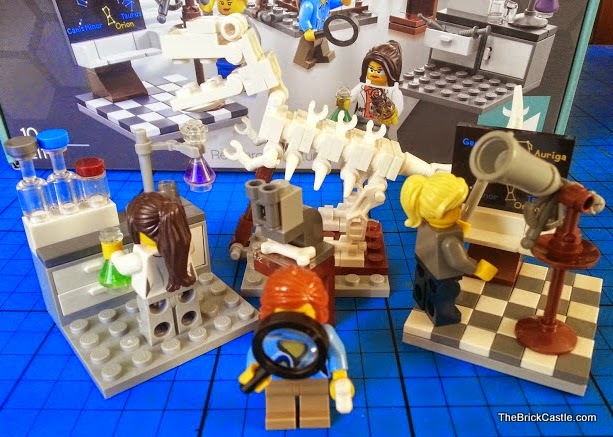 I was sent most of the items that appear in the Reviews Revisited posts free of charge for review, and I've included them in this post because they turned out to be great or interesting. The brands involved don't know they'll be included and (sadly) I will not make any money from this post.